John Mayer, you are not Johnny Depp. One of Bieber's people should have told him not to wear white. Russell looks odd without facial hair, but I still love him. Ricky's pants are nuthuggin' tight, but it's ok. 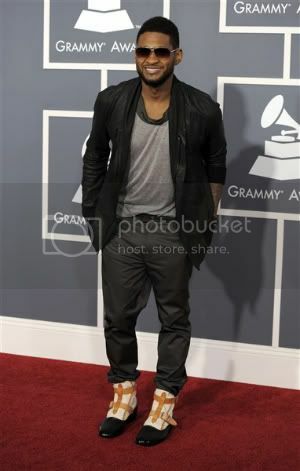 Usher could do better, but he's Usher so I forgive him. 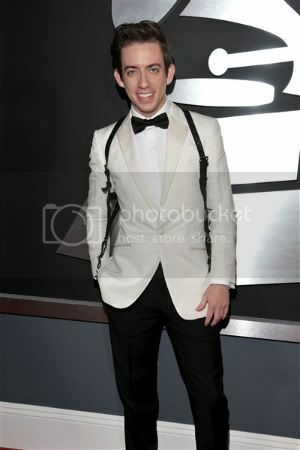 Kevin from Glee thinks he's James Bond. Um, no. Bruno Mars is a pimp. He's my new fave. Gay or not, Adam is hot. 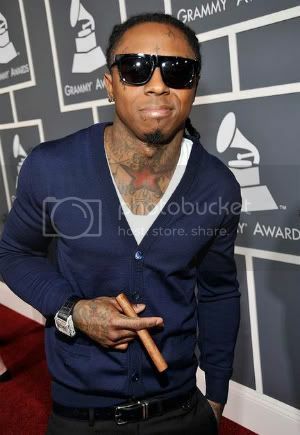 Lil Wayne's wearing slacks and a sweater. I'm impressed. I was less than impressed with the guys outfits, but I do think Johnny Depp should sue John Mayer for copyright infringement. 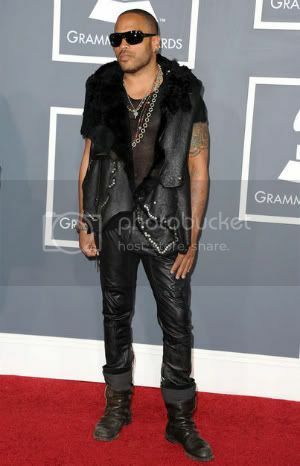 I agree Justin's outfit was not a smart move, I love Bruno Mars, and I have to agree Adam Lambert looks good. OMG. Ricky. Oh so hot. 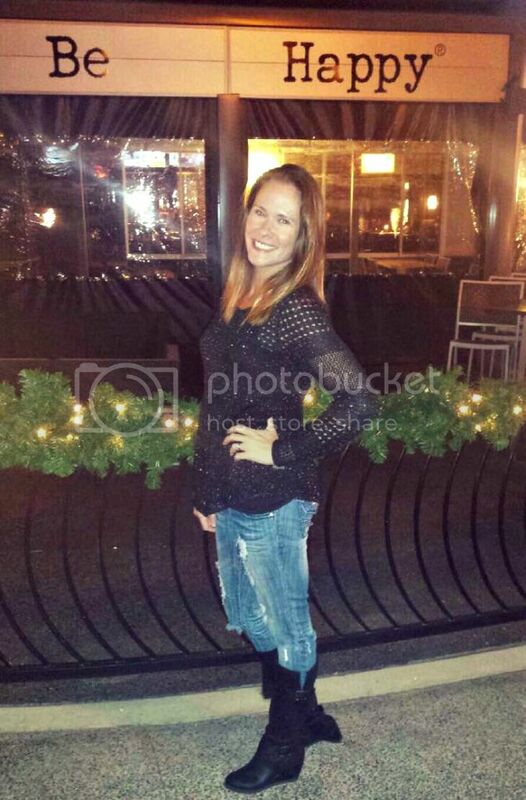 The pants? Oh so not. Bruno Mars looks like he's from the 50's. Adam Lambert: so pretty. Why do I love the guyliner?? 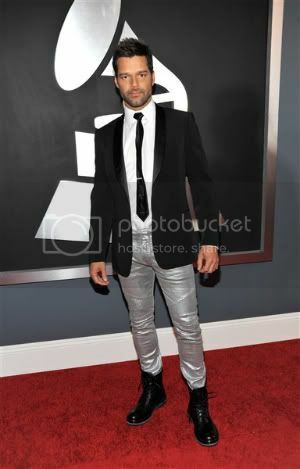 I love me some Ricky Martin, what WAS he thinking with those trousers tho??!! I think that John Mayer looks like crap! When did he turn into the creepy uncle? Oooh, Bruno Mars. I love you all day, boy. Mmmm, mmmmm. Justin and Ricky were laughable. John looked ridiculous, too. 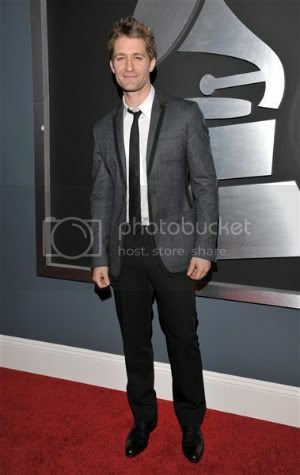 I LOVE me some Adam Levine but those pants/boots did not work for him. Adam Lambert looked like Adam Lambert on any given day. Bruno Mars definately rocked it though. I'm just not a fan of the teeny tiny boys pants. It kinda scares me! Biebs shouldn't have worn white! Mario Lopez is yummy! 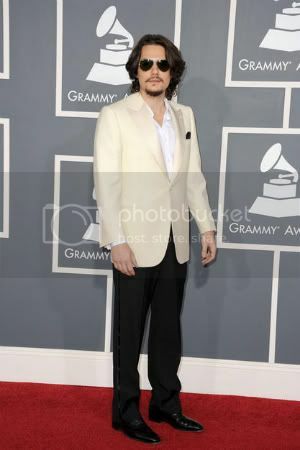 When I saw John Mayer I thought he was Johnny Depp! Bruno definitely wins, though. Sexyy! 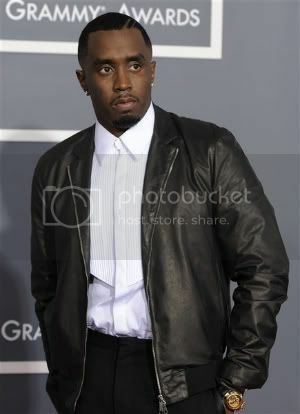 P-Diddy or whatever his name is today has more money than everyone at the Grammys combined and he dressed like he was going to a local chain steakhouse or something for a last minute valentine's day dinner with a blind date. I was NOT impressed. The men really didn't do much for me. And why is Mario Lopez at the Grammys? Why is he even still around? Only two I like are Mario and Bruno! The rest look stupid or ridiculous.